Carbons with high surface area and tailor-made porosity have been commercially available for several decades. [1-3]. In the 1980s their potential application as catalysts revealed the importance of the surface chemistry. In adsorption processes affinity between the carbon surface and the fluid phase plays a major role, as their interaction, which is generally non-specific, significantly affects the distribution of the adsorbed molecules within the pores. In this paper we investigate the influence of the chemical character of a set of highly porous carbons on the pore filling behaviour of non-polar and polar adsorbates. The interaction of carbon samples of increasing oxygen content is studied with two different wetting liquids. In the non-polar n-hexane the intermolecular interaction is weak. Its attraction to the carbon surface favours significant adsorption already at low relative pressures p/p0. Under real operating conditions, however, the relative humidity of the environment often sets water in competition with other target molecules for adsorption sites. Water molecules, which interact only weakly with graphitic carbon surfaces, adsorb on the carbon surface by a different mechanism [4, 5]. At low p/p0 hydrogen bonding among the water molecules in the liquid phase makes the carbon-water interaction even less attractive. Water uptake in the carbon may be enhanced by introducing oxygen functionalities, since surface sites, through a cooperative bonding mechanism, can have the same effect as pre-adsorbed water . The surface functional groups act as nucleation centres that, upon further accretion, ripen into clusters at p/p0 as low as 0.1 . 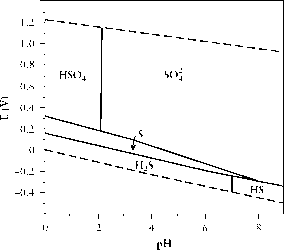 At very low surface coverage water adsorption is governed both by the surface chemistry and the porosity of the carbons. For higher relative pressures the Dubinin-Astakhov equation yields excellent fits to the isotherm . Water, therefore, on account of its particular relevance in activated carbon-vapour phase interactions, is used in this study as the polar probe. Pore filling mechanisms with these two liquids is conveniently monitored by small angle x-ray or neutron scattering (SAXS or SANS), as these techniques furnish structural information down to the nanometre scale range. The spatial distances deduced from the SAXS response can be easily translated into the pore size w as 2n/q through the transfer wave vector q. Such observations yield model-independent information about pore filling by any adsorbed molecule. Since molecules adsorbed inside the pores modify the electronic contrast of their immediate surroundings, the small angle scattering signal of the local carbon matrix is sensitive to the adsorbed layer [9-11]. The present article reports SAXS measurements on micro-porous activated carbon samples of well characterized surface morphology and chemistry equilibrated with «-hexane and water vapour of different relative pressure.